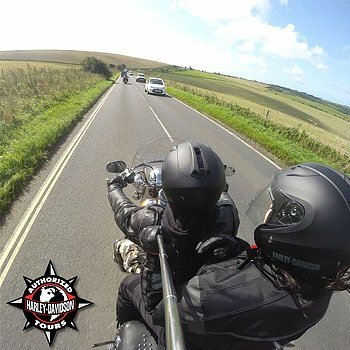 If you’re a regular motor bike rider and have always fancied a Harley-Davidson or if you’ve never ridden before, then you’ll be sure of having the time of your life, making some new biker friends, and making many, many memories. 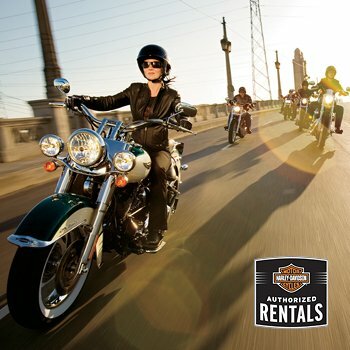 Do I get to roar off into the sunset on a Harley-Davidson? Experiences vary between a couple of hours and a full day. You certainly get to ride a real ex-USA police Harley, and can choose between riding shotgun (pillion, to you) and taking the handlebars and driving yourself. Needless to say you’re not just given the keys to one of these hogs and told to clear off – you’ll be in a small group led by an experienced Harley enthusiast who will keep you on the strait and narrow, show you the tips and tricks of controlling a Harley (it’s not like your average moped) and generally keep an eye on you. And the full day experiences let you ride for something like six hours and cover a hundred or so miles too. What if I’ve not ridden a motor bike before? Then you’ll be welcome as a pillion passenger, and can have most of the fun of riding a Harley without any of the responsibility of actually learning to control it. For the hands-on experience where you get to drive it yourself, you generally need to be over 25 with a clean motor cycle licence and a couple of years experience driving bikes. After all, they wouldn’t want you crashing and wrecking one of their hogs, would they? And even more important, you wouldn’t want to twist the throttle and end up in intensive care!